Restaurants on the Run – This is a multi-restaurant delivery and catering company serving cities all over the west coast, and it has an amazing success story built around a philosophy of “people taking care of people.” This isn’t lip service. They live this internally and externally. A long-time client of The DiJulius Group, they created a Secret Service Agent team made up of staff members. Annually they give out a Secret Service Agent of the Year award, and the recipient will receive a prize such as a vacation for two at Disney World. Competition on the Run – ROTR is a very aggressive company that excels in implementation and execution (Chapter 6 of What’s the Secret?). They recently introduced a service recovery program designed to focus on loyalty and retention processes, which forced them to take a much longer look at what they do when things do not go according to plan. This has culminated in our Service Guarantee Program, which caused them to launch The ROTR Promise. The ROTR Promise says that they will give customers a $20 gift card if their order is not set up and ready to eat within 5 min of the quoted RTE Time. This is a bold move and a powerful statement that none of their competitors have ever offered. The DiJulius Group is thrilled to have Michael Caito, President & CEO of Restaurants on the Run, as one of our keynote speakers at this year’s Secret Service Summit, November 3rd & 4th in Cleveland, OH. What America needs is more Jobs…Steve Jobs – Last week Steve Jobs officially removed himself as Apple’s CEO. This may be the end of an era. 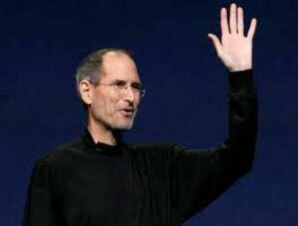 I regard Steve Jobs as one of the top five entrepreneurs and visionaries of the last 50 years. If you haven’t seen the Stanford University commencement he gave you have to take the time to watch this, it is legendary – Stanford Address. My favorite Steve Jobs’ quote is, “Don’t ask the customers what they want, give them something they cannot live without.” Here’s to you Steve! Secret Service by an airline – I get dozens of RSS feeds on customer service stories everyday, but rarely do I get a positive story of an airline. British Airways Using iPads to Revolutionize Customer Service! Cabin crews working for British Airways are now using the iPad to streamline several boarding processes and in-cabin services to offer a truly personalized experience to flight passengers. With the iPads, the crew has access to each customer’s preferences and travel arrangements. A seating chart displays where each passenger is seated, who their traveling companions are, their Executive Club stature, and special meal requests. Read the entire article. TA making price less relevant – TravelCenters of America, a long time consulting client of The DiJulius Group, has had and continues to have, unbelievable momentum. The company has posted amazing earnings the past two years in spite of the serious economic woes that are lingering. 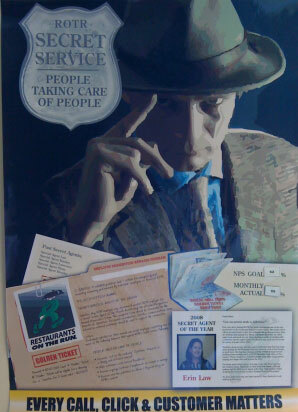 TA has won multiple awards for their customer service excellence, including the 2010 Secret Service Summit Award. Recently the Cleveland Plain Dealer did a feature story on TA’s success and when asked about why his company places so much emphasis on customer service, CEO Tom O’Brien said, “At the core, our company is in the commodity business. We sell two billion gallons of fuel, and we have some very stiff competition. If you can purchase fuel for the same price, why wouldn’t you send your drivers to a place where they can get a clean hot shower? They can sit in a full-service restaurant and be called by name, and be served by somebody who understands a little bit about the trucking business.” Read the entire article. This October 3rd is your opportunity to re-energize and change the way your company delivers world-class customer service. This last class of the year, will provide new insight into the customer service systems used by the top organizations in the world and show you how to use them at your company. 12 candidates will be selected to be a part of this train-the-trainer class taught by best-selling author, keynote speaker, consultant and THE Authority on delivering a world-class customer experience John DiJulius. For details and selection process call Denise Thompson at 440-443-0023 and mention secret phrase “I’m a member of the customer service revolution” for early bird pricing. This September 14th join John DiJulius in the first of a NEW series of FREE Teleseminars based on the X-Commandments of world-class. The first teleseminar will expand on The State of Service in America. 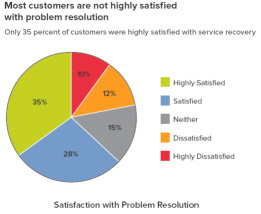 Why are companies realizing poor service is a sure way to go out of business? How the top service companies endure all economic climates? How do you compete on experience not on price? Full Disclosure – I have been getting more and more impatient with businesses’ lack of respect for my time. I hate to be kept waiting. Recently I went to a local diner with my family for Sunday breakfast, and upon arrival the hostess warned us saying, “I apologize. We are so busy today, our kitchen is really backed up. It may take a while before you get served.” We all responded with something along the lines of, “We are in no rush.” The waitress eventually got us our drinks, our order and kept stopping by during our wait to refresh our drinks and apologize for the long wait. Each time we kept reassuring her that we understood. The food finally arrived and we left happy. What was funny was afterward, when I thought about the length of time between order and delivery of the food, it was significant. However, with her being upfront and apologetic, none of us were even the slightest bit upset. It is like when you see an employee nametag that says “In Training” underneath the name. You automatically feel for this person, are more patient, understanding, and sympathetic. You want to help them out so they do not feel so overwhelmed. Disclosing the inevitable service defect upfront is a powerful tool to getting your customers to be more understanding and patient. It is when they are not told about the delay or why or how much longer that people feel taken advantage of and are less forgiving. Reverse Secret Service – While reading The Innovation Secrets of Steve Jobs, by Carmine Gallo, I came across an innovative initiative by the Westin Hotels, designed to encourage deeper relationships between hotel employees and guests: New employee name tags, which included this phrase, “My passion is ___________.” Westin executives said that the passion tags opened a dialogue between the company’s staff and its guests, and when guests start talking, they are much more forthcoming about any issues that might concern them during their stay. A simple phrase on a nametag encourages guests to talk and engage, and find out similarities and common interests, thus helping to break down barriers and create emotional connections. Call Center & Cast Members – Do you have employees in mundane roles, doing the same task over and over again all day long, answering the same questions, dealing with frustrated customers, whose problems and issues where not your fault? Well guess who else has the exact same scenarios, maybe even worse? Walt Disney World! Disney is and always will be the leading example of world-class customer service. Even though you have heard numerous examples, if you really think about it, they apply to any business. I swore I would not share another Disney story until just recently when I heard someone say, “Our customer interactions are not as romantic as a theme park, where people are excited to be there. It is not apples to apples.” I disagree! I took my three boys to Disney World this past August — the absolute worst time to go. The temperature was in the mid-nineties, and the average wait time for an attraction was about 60 minutes. It was miserable. Like everyone else, we waited, baking, all while the kids are whining, “How much longer.” I observed the Disney cast members who stood there the entire time, in costumes, as uncomfortable as we all were. The only difference is that eventually we got to enjoy a ride, while they just ushered people on and off. I saw them being asked the same stupid questions hundreds of times, “how much longer,” “my child has to go to the bathroom,” etc. They had to deal with frustrated customers who were literally losing their cool because of the anxiety of waiting in the heat with an impatient child. And I was amazed at these young 18-24 year olds and how well they kept their composure. They acted like the questions were unique, they kept smiling, and I watched as tour guides returned with a new group, reloaded another dozen people and they had to start the script all over again. They said it fresh and enthusiastically like it was their first tour of the day. There is something to be learned from this about making sure our employees understand the importance of their roles in our customer’s day; and while it may be our 100th same old interaction of the day, it is our customers only one with us. We owe it to them to provide an experience saying they were the only customer we contacted that day. Adding theatre to your job – Just like call centers, receptionists, and cast members managing wait times, flight attendants’ jobs can get very monotonous by performing the same duties and saying the same scripts flight after flight, day after day. You have to watch this video of how a Southwest flight attendant changed it up, making it a memorable experience for the passengers and himself, and breaking out of the same routine. 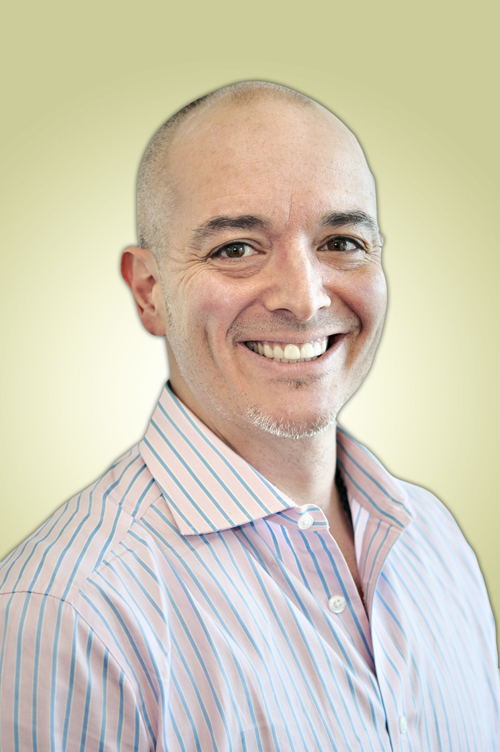 Resource of the Week – The Innovation Secrets of Steve Jobs, by Carmine Gallo. 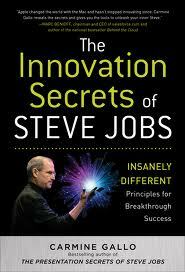 I am a huge Steve Jobs fan and found this book excellent. So much so, I had everyone at The DiJulius Group read this book. You can make the argument that in business, achieving Zero Risk is as important as consistently achieving delivery of your non-negotiable service standards. Zero Risk addresses an intimidating array of issues such as service defects, lack of concern about the customer’s experience, and incidents or emergencies that aren’t a company’s fault. But what does Zero Risk look like from the consumer side? As a customer, Zero Risk means you have a sense of security knowing that when you deal with a company, if something goes wrong, that company will make it right. There’s no risk (Zero Risk) on the customer’s part to deal with that company or business. How many Zero Risk companies do you deal with? The following scenario happens every day. You are unhappy with your experience as a customer. You express your displeasure to a front-line employee who looks at you like a deer in your headlights. At best, that employee may say “Sorry” — but that’s it. The employee isn’t allowed, or required, or trained to fix the problem. It’s obvious that nobody at the company cares whether you are disappointed, and you realize it is a waste of time and energy to try to do anything about it. So you just stop reporting your displeasure, and more importantly, you stop going back. Dealing with a company like that is High Risk and the opposite of Zero Risk. Today, we expect very little from companies. We feel it is a waste of time to complain because companies will be defensive and will not take responsibility for the problem. By now you probably have heard the urban legend about a customer who returned tires to a Nordstrom store and Nordstrom refunded the money even though it has never sold tires. It doesn’t matter whether or not the story is true. What does matter is that Nordstrom has an almost mythical status for its “no-hassle” customer service. I admit that I love to shop at Nordstrom. They have made price irrelevant for me because they provide great service, and I know they are a Zero Risk company. I don’t have to worry about returning an item within 30 days or saving my receipt because Nordstrom just doesn’t haggle over these details. I have a personal “tire experience” story with Nordstrom. One day, as I put on a nice pair of shoes, I noticed that the tongue was damaged in one of them. At first I thought nothing could be done about the situation because the shoes were nearly a year old. But then I remembered that my wife had purchased them at Nordstrom. I decided to put Nordstrom’s reputation to the test. I took the shoes to my Nordstrom in Beachwood, Ohio, and asked for the general manager. Fran Broda introduced herself to me as the general manager and asked how she could assist me. “Regardless, let me see what we can do. We should be able to repair it. Can you leave it with us for a few hours?” she replied. I have to admit that I was a little surprised. At first I felt that she was trying to get out of fixing the shoe. (Maybe the tire story really was a myth.) Could their customer service be overrated? I was sure I would have to pay for the repair, especially as Fran wasn’t admitting to having sold them in the first place. A few hours later, I returned to Nordstrom. The shoe was fixed and as good as new. Better yet, to my great surprise, at no charge! Driving home, I thought, “That was Zero Risk. They stood behind their product and fixed it, even though my shoes were nearly a year old.” I gave them a 9 on a scale of 10, losing 1 point because Fran tried to say Nordstrom’s hadn’t sold the shoes to me. When I got home, I told my wife the story. She immediately told me that Fran Broda was right! My wife remembered buying the shoes someplace else. So Nordstrom scored a perfect 10. At no charge they had repaired a used shoe that they hadn’t even sold! 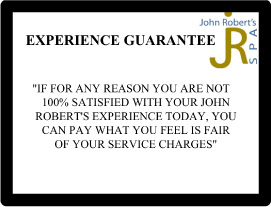 If you ask managers of any business how important their customers’ experience is to customer satisfaction (i.e. 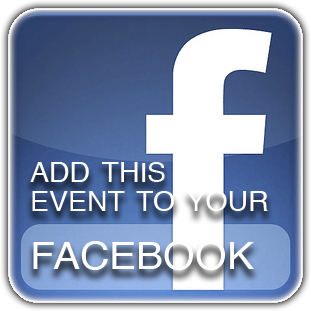 engaging, memorable, personalize, relationships, etc. ), along with the quality of service or product they deliver, nearly every manager would say that the customer experience is critically important. Yet they contradict themselves by their actions. Managers get frustrated because their employees and professional service personnel think it is all about the expertise. ‘Wowing’ the customer consistently takes a back seat. Why? Because it is just lip service by management! Want proof? Think about most professions; nearly all the degrees, licensing and on-going education is spent on the technical expertise of the profession. Now compare that with how much customer service training is put into a new employee and how much on-going training is put into an existing staff? How many colleges offer Customer Service as a major, a minor, or even a class? How many companies require their professional service providers to have certain levels of customer service training and/or licensing before they are allowed to work with customers, patients, or clients? Hardly any. A recent study found that, of the doctor’s surveyed, most seemed to overrate the patient service they provide. The following results are from research conducted in 2010 by The Management & Business Academy, sponsored by CIBA Vision and Essilor. 97% of practices rate the quality of the service they provide as above average or higher. 32% rate their service as “outstanding” – the best in their community. When patients rave about the service of an optometric practice, they most commonly mention the quality of the human interaction that occurs during an office visit rather than the technical quality of the exam or the technology used in the practice. This study presented research of highly satisfied patients, and rarely did the highly satisfied patients ever mention the technical competence of the doctor or staff, the technology used by the office or thoroughness of the exam. Patients expect excellent medical treatment and trust they will receive it at most professional medical practices and hospitals. As a result, medical brilliance by itself is a commodity and unacceptable today as a single measuring tool. Want more evidence of how important demonstrations of caring and compassion can be in the medical world? The risk of being sued for malpractice has very little to do with how many mistakes a doctor makes. Analysis of malpractice lawsuits shows that highly skilled doctors get sued. In nearly every single malpractice case, the patient was quoted as saying something negative about how the doctor made them feel. At the same time, the overwhelming numbers of people who suffer an injury due to negligence of a doctor never file a malpractice suit at all. Why? Because of the bond they had with the doctor. They would never consider suing the doctor or his practice, even though there was negligence on the part of their doctor. Patients don’t file lawsuits because they’ve been harmed by shoddy medical care only. It is how their doctor treated them on a personal level. People don’t sue doctors they like.